The Nintendo Switch is finally getting VR! The Nintendo Switch is only the second console in history to get a VR set, with PlayStation's PSVR being the first. Microsoft has decided not to release VR sets for their Xbox though. 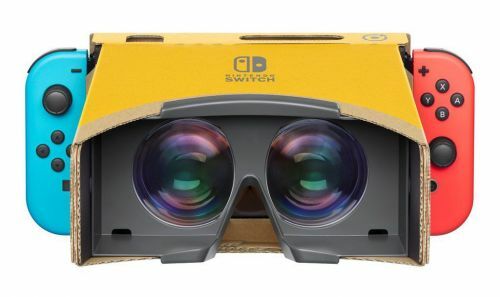 The Nintendo Labo VR Kit will release on April 12, 2019. The Nintendo VR will be sold with the Nintendo Labo kits. Nintendo Labo is a kit of cardboard cutouts that can be shaped into various objects (a gun, a fishing rod, a camera or anything else) and it can be hooked up with the Switch's Joycon controllers in order to use it in a game. The Labo VR Kit will come with six different cardboard cutouts. 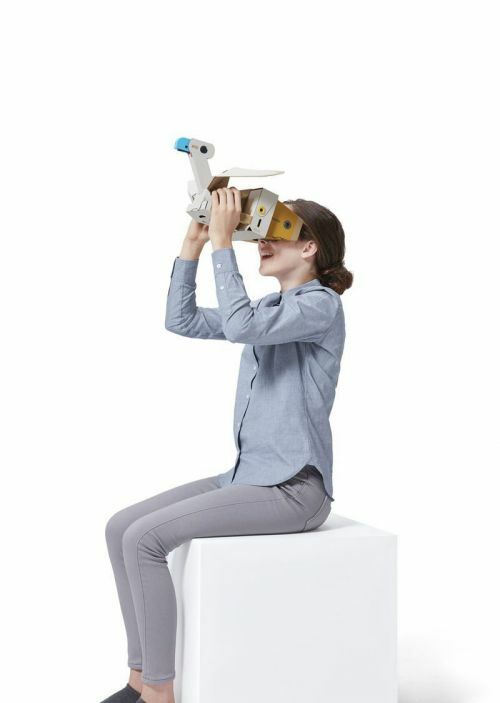 The package will include VR goggles, a blaster, a camera, a bird, a space viewer and an elephant? The Labo VR Kit will be sold at $79.99. You can also get the cheaper version which includes only the VR goggles and blaster for $39.99. The Labo VR is quite similar to Google's Cardboard. The idea of Labo is to inspire creativity and to understand mechanics such as physics, engineering and basic programming. It is a unique concept which hasn't been seen much in video game consoles. It is mostly aimed for kids to inspire creative outlets but who's stopping an adult from having some fun too? Labo was introduced in April 2018 and it has been a great success especially among children. Nintendo is hoping that they can release the platform with the Switch in schools to inspire creative learning. Nintendo has come far since the release of the Switch in 2017. Switch is one of their best selling consoles yet and the games released for Switch have also been selling at a rate that Nintendo has not seen before. The Wii, Wii U and 3DS did well during their lifetimes, but not nearly as fast as the Switch.